De socas nos pés: Kut Weer!!! 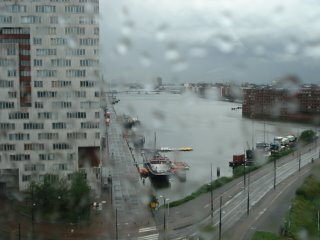 The weather in Amsterdam, today!!! Sometimes i wonder how can i love this land soooooo much....Maybe I'm Crazy! This entry was posted on sexta-feira, agosto 11, 2006 at sexta-feira, agosto 11, 2006. You can skip to the end and leave a response. terça-feira já tens os teus 34 graus à sombra. nice party yesterday! pacific park rula! venham os calexico e a joan.